THREE CHILDREN ARE continuing to receive treatment in hospital after a fire at a house in west Cork yesterday. 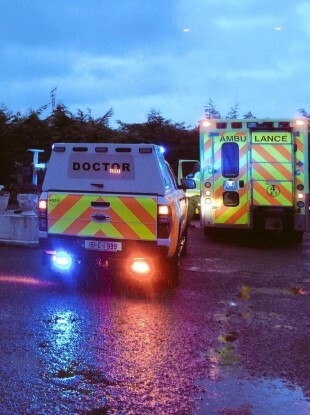 A one-year-old boy and his younger siblings, five-month-old twins, were airlifted to Cork University Hospital after the incident which occurred in Drinagh at about 6.30pm. Their injuries are not believed to be life-threatening and all three children are expected to recover. It’s believed a petrol canister exploded at their house. Gardaí, emergency services and the Rescue 115 Coast Guard helicopter all attended the scene. The Valentia Coast Guard was also involved with the operation. Email “Three children remain in hospital after fire at house in Cork”. Feedback on “Three children remain in hospital after fire at house in Cork”.